Produced for Rj's Electrical Connections (ASCAP); "JUNE" for Rj's Electrical Connections (ASCAP), Full Nelson (ASCAP). Copywrite appears courtesy of Eastern Conference Records. Recorded and mixed at Deathtrap except track 4, mixed at Workbook, and track 15, recorded at Intalec's. Mastered at The Lodge. Art and design for Stat.ind. The pressing is not poorly mastered. It is intentional as another user pointed out. The CD & record sound exactly the same. I've seen people on Discogs and on Amazon complain about this album's sound quality. Some blame it on the pressing or the engineer who mastered it. I originally bought this album digitally. 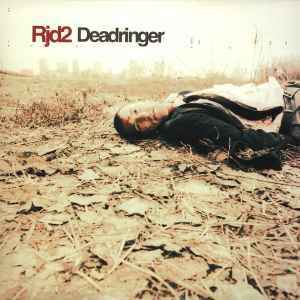 The qualities of the tracks are exactly how RJD2 intended them. Every vinyl click and pop was meant to be there. Any distortion was meant to be there. I could understand fans of vinyl being disconcerted by the crackles and pops, but those are parts of the tracks, not scratches on the disc. I was sad to find that the hidden track after Work, Here's What's Left, is missing from the vinyl pressing. I understand why, though. It's a long track at almost six minutes and there's no room for it on what's already a double LP. the distortion on Work is unbearable. Bad pressing overall. Not sure if the first pressing is better. Sounds awful. Don't buy this pressing. It does not sound good.